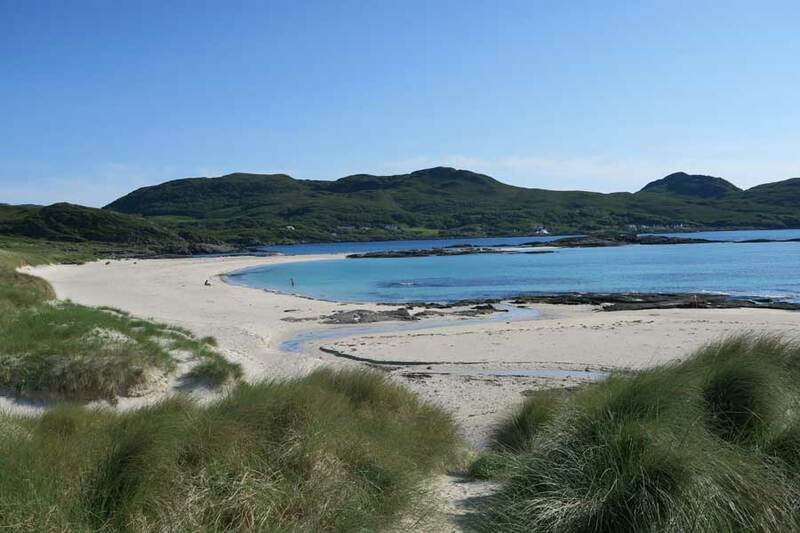 Sanna bay is one of the most stunning beaches on the Ardnamurchan peninsula. 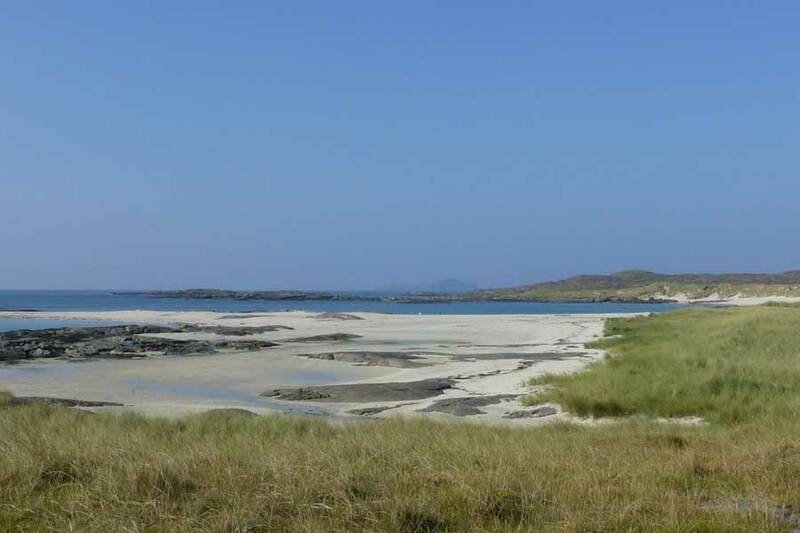 This relatively large size bay with climbing dunes consists of four smaller sandy bays, separated by rocky headland. 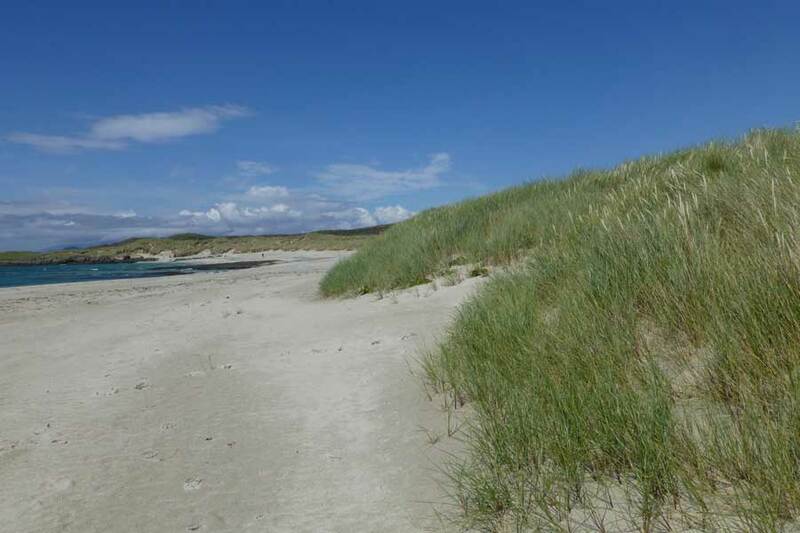 Dune cliffs reach up to 3m in height and there is a sand isthmus connected to a low rocky platform. 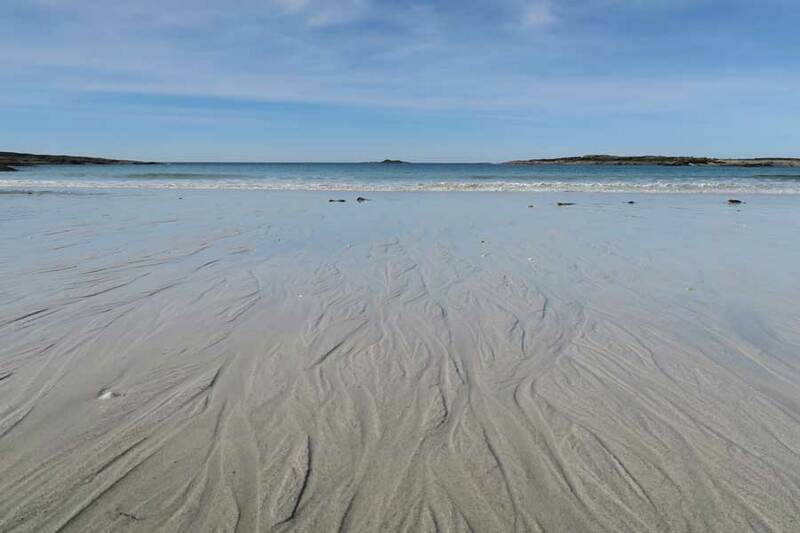 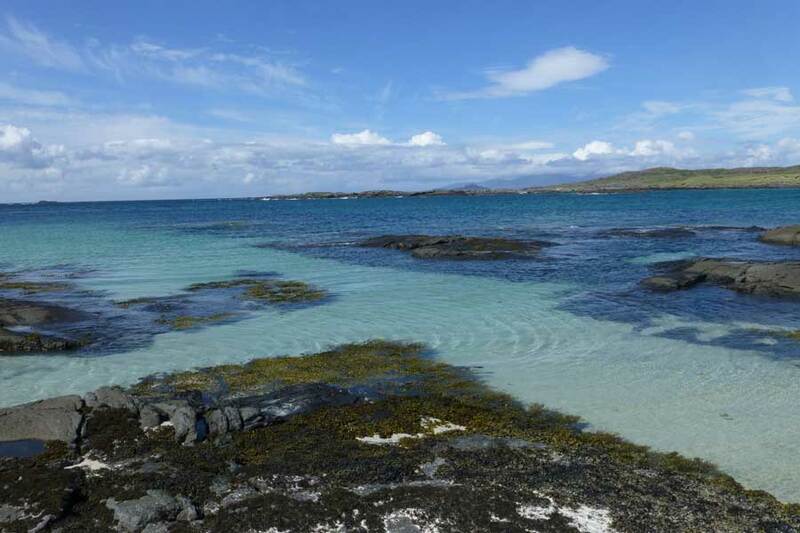 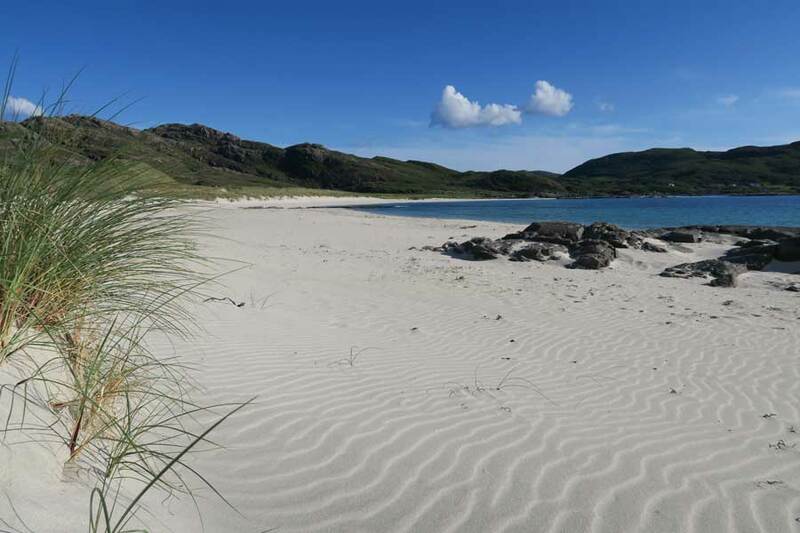 Sanna Bay is renowned for its stunning scenery, white sandy beaches and clear turquoise seas. 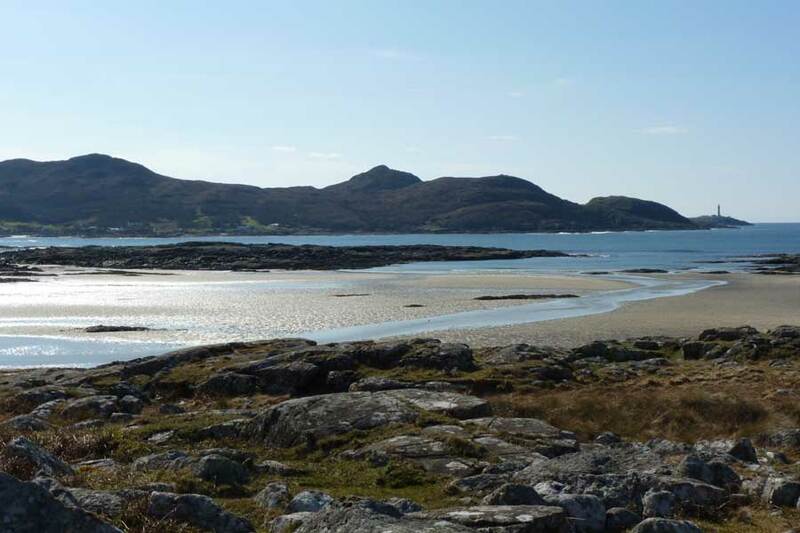 The bay also offers some fabulous views of Ardnamurchan Point and The Small Isles. 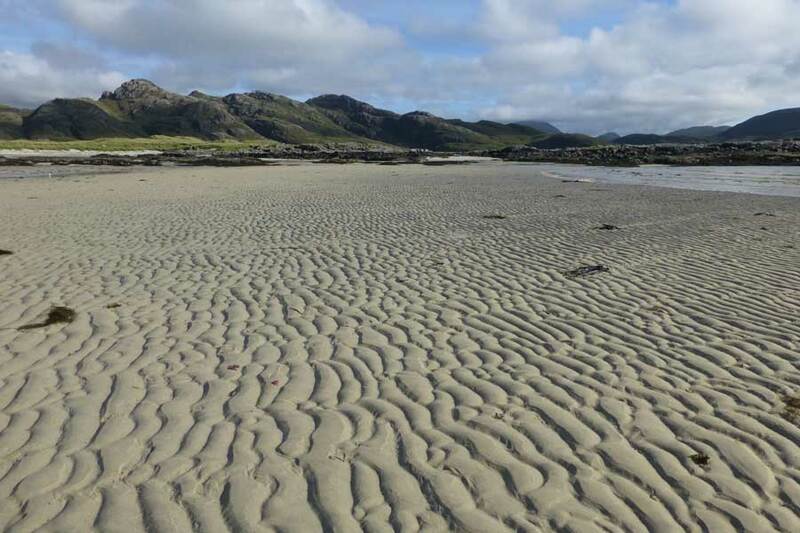 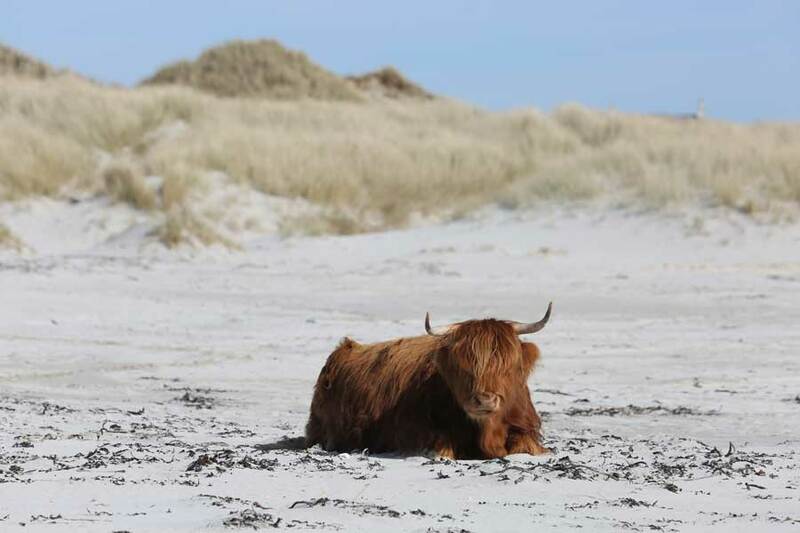 In addition, Sanna Bay displays some good habitat zonation from beach to dune slack. 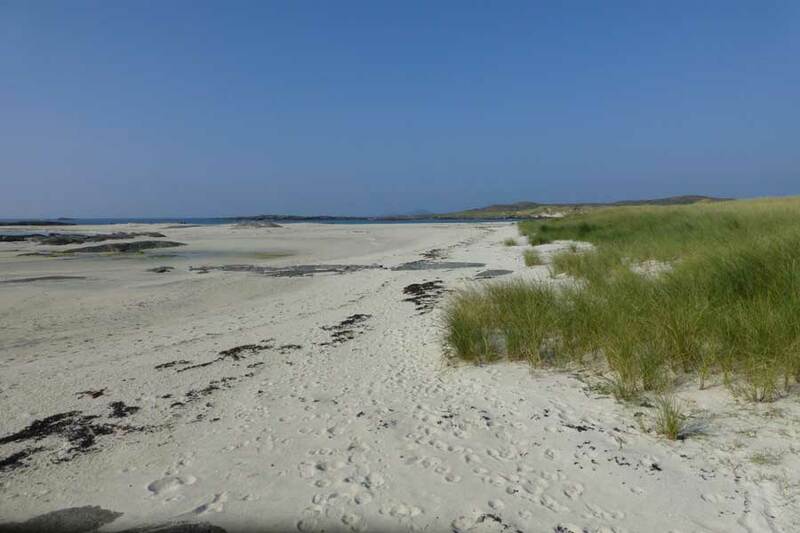 There is an extensive area of Ammophila arenaria-Festuca rubra semi fixed dune, floristically rich damp machair grassland, dry grassland with Gallium verum and Thymus praecox, Carex nigra rich fen and Eleocharis palutris swamp. 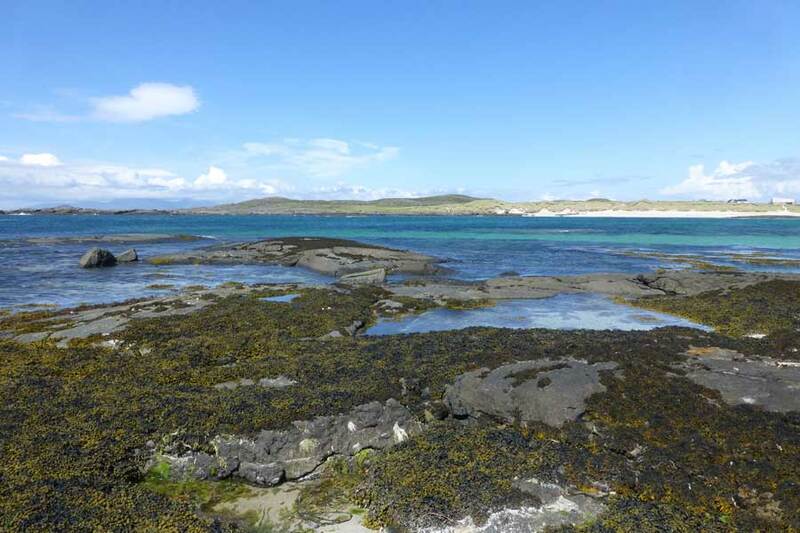 There is also a machair lochan with Potamogeton angustifolia and Ranunculus flammula. 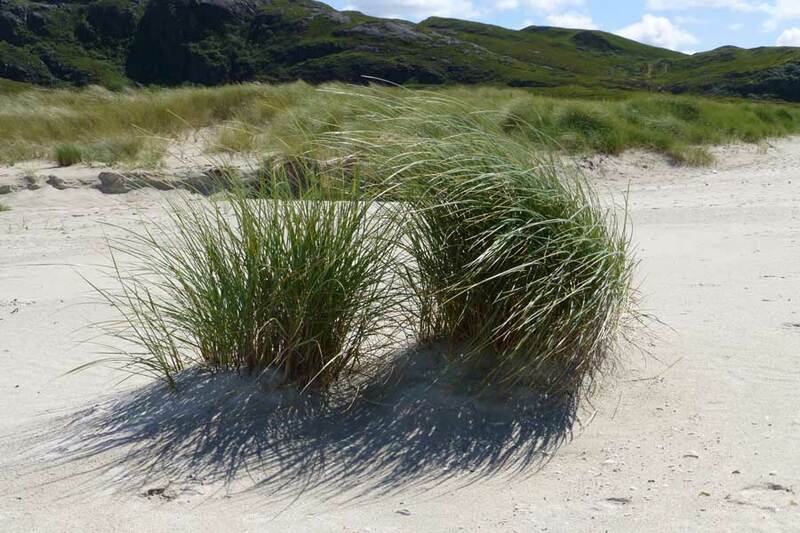 In spring and summer, the dunes are a riot of colour. 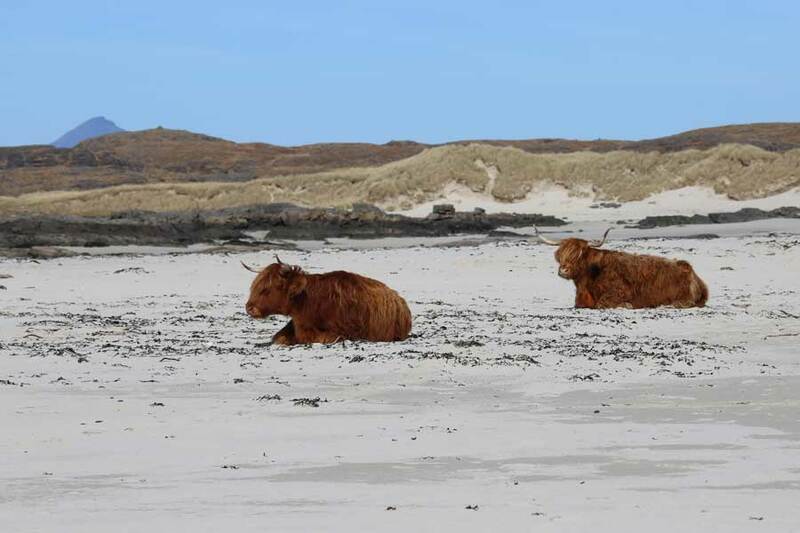 This is a great place for wildlife watching. 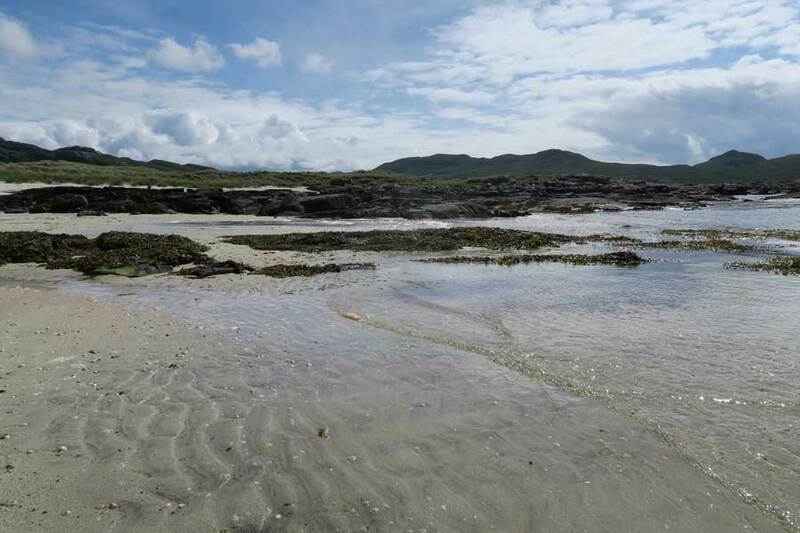 Look out for butterflies nectaring on the machair flora, dragonflies and damselflies scouting the wee burn, sand martens nesting in the dune cliffs, coastal birds and otters foraging along the shoreline. 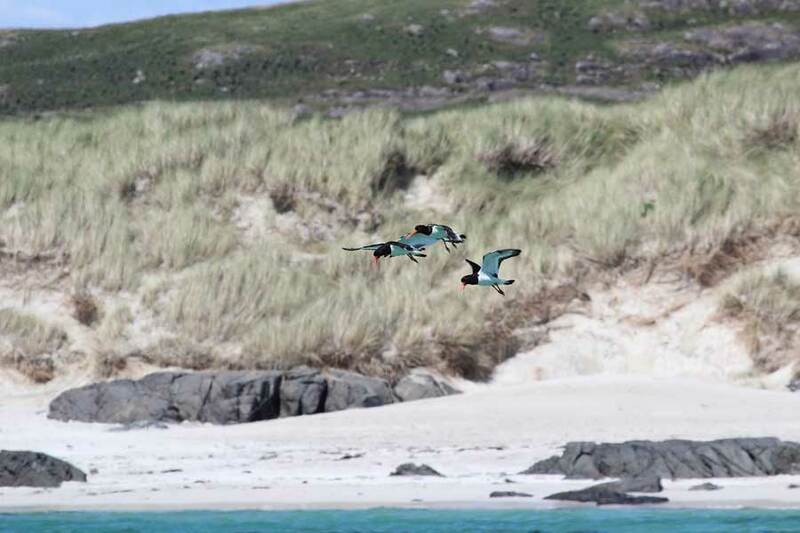 You can also scan the coastal cliffs for a good chance of seeing white-tailed eagle. 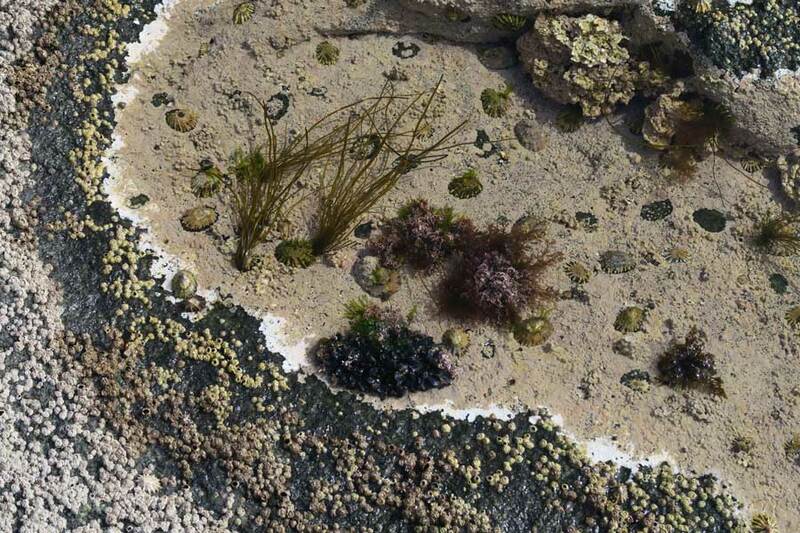 There are also some lovely rock pools waiting to be explored by the young and older alike. 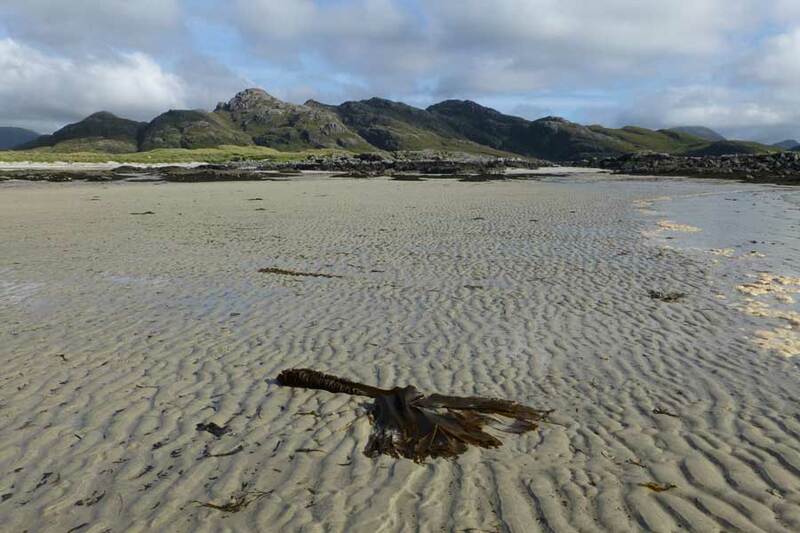 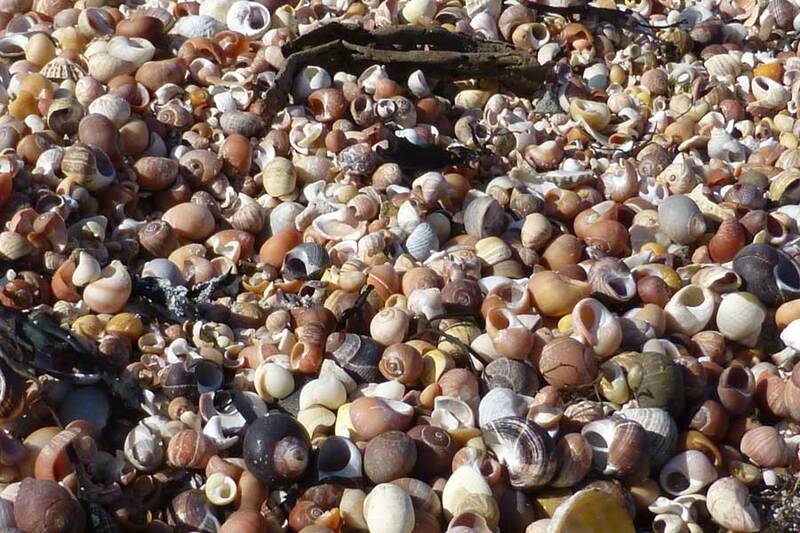 Sanna Bay offers some good walking and beachcombing opportunities. 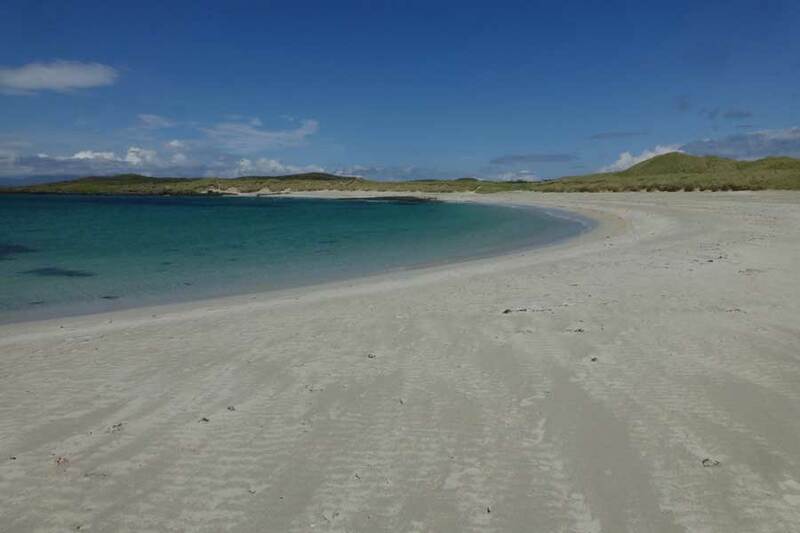 In addition, Sanna Bay is a great beach for a picnic, a bucket and spade, paddle and a swim. 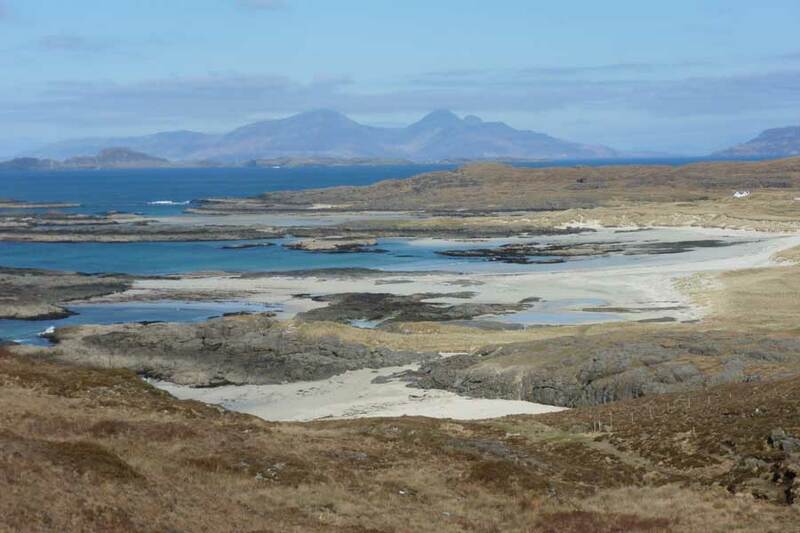 Sanna Bay is located by the Great Eucrite ring complex which is centred around Achnaha, and, as such, offers much geological interest. 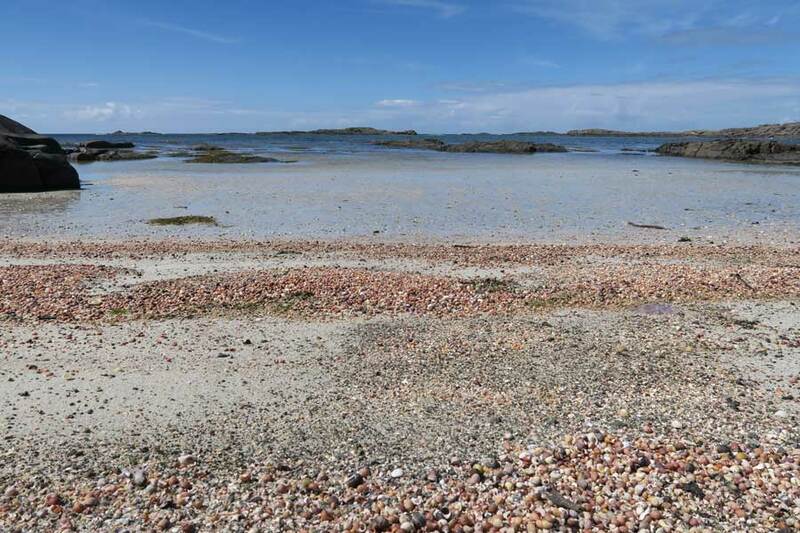 There is an informative Lochaber Geopark interpretation board located in the car park that explains the origin of the ring complex with reference to cone sheets, ring dykes and lopoliths. 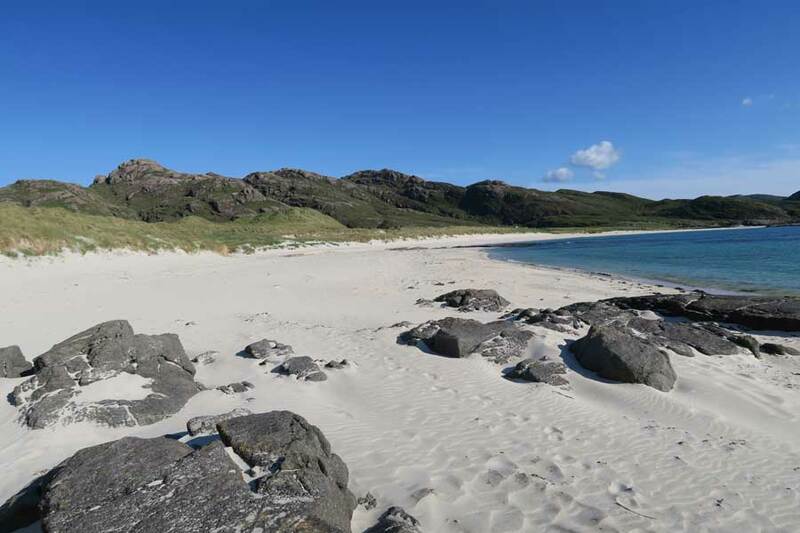 Sanna Bay really does have it all and it is not surprising that this beach is popular with botanists, wildlife watchers, walkers, geologists, artists and photographers alike as well as anyone who loves a stunning beach. 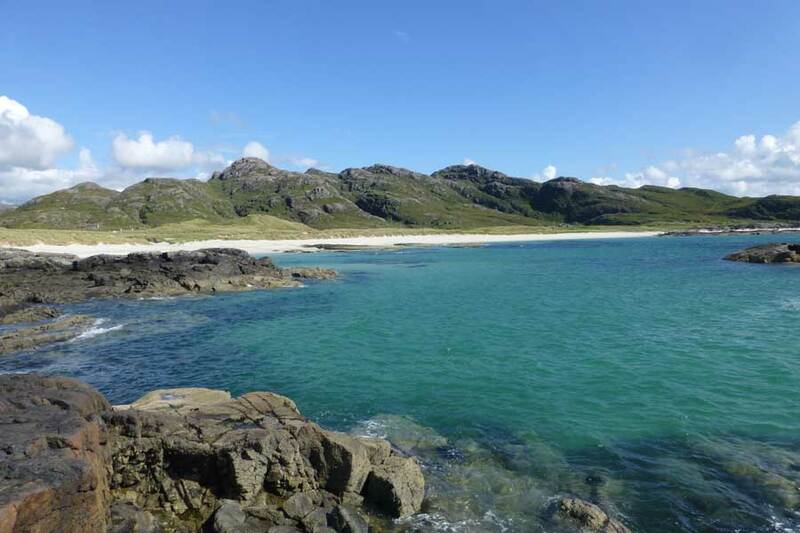 This is a great place to explore and enjoy. 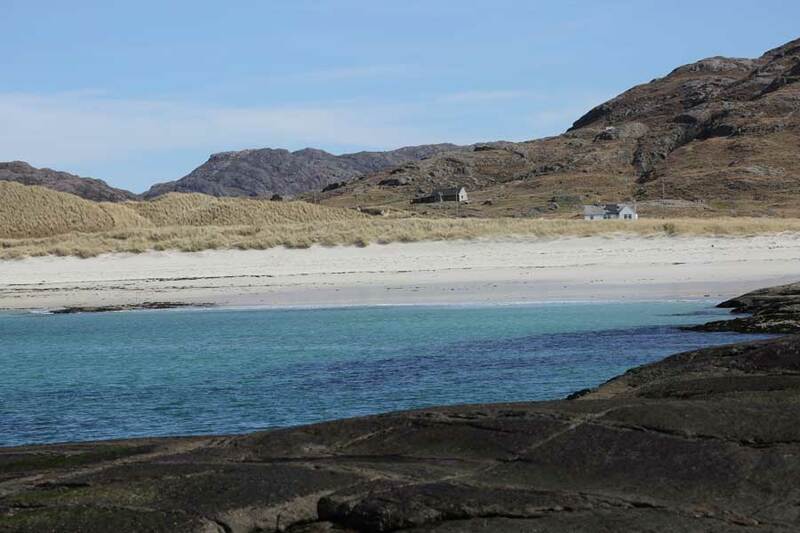 Sanna Bay is easily accessible by car. 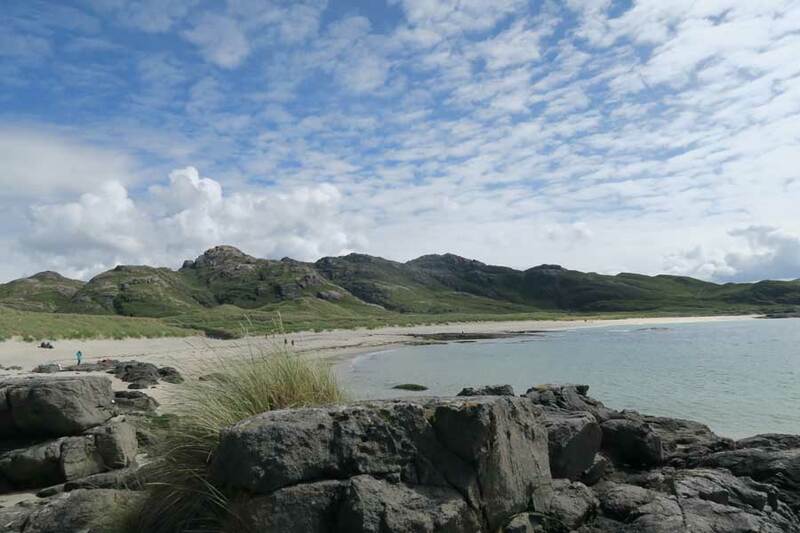 There is a stunning drive to Sanna Bay and car parking facilities at the edge of Sanna Bay. 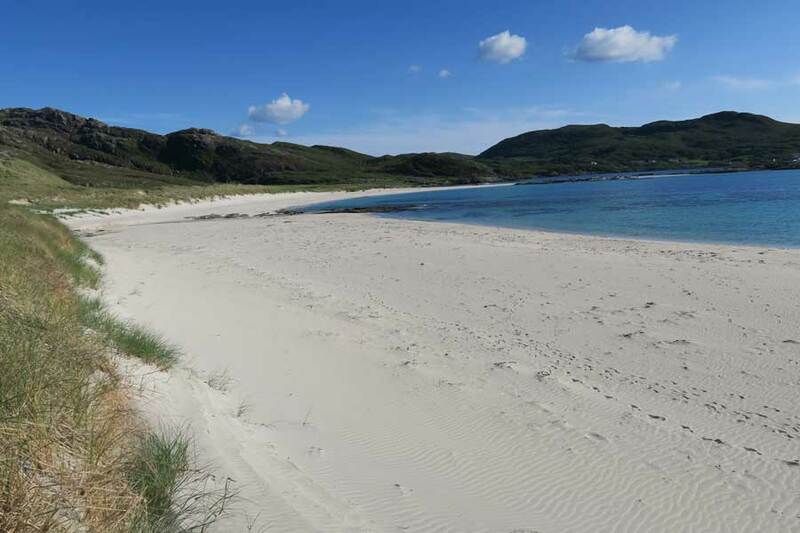 The bay is then a short walk over the dunes. 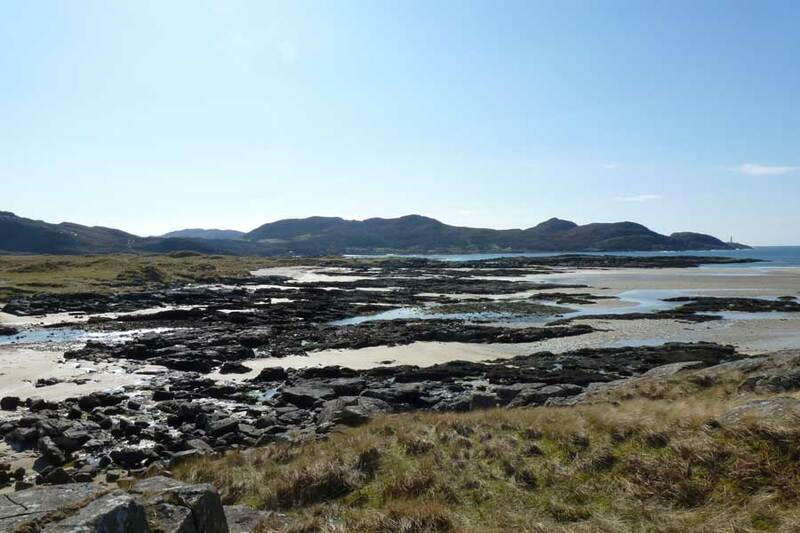 Sanna Bay can also be accessed by a lovely coastal walk from Portuarik (Portuairk to Sanna Bay Walk).